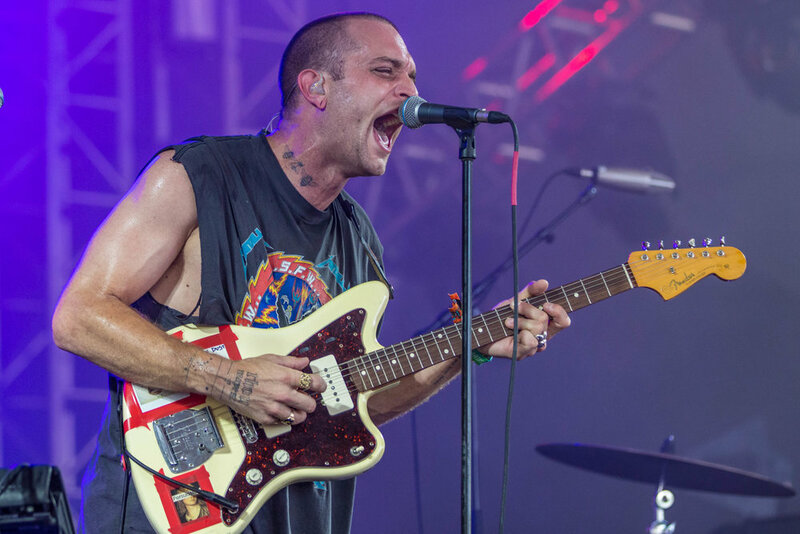 The final day of Bonnaroo began with a rainstorm, breaking the streak of sunny days that the festival had seen so far. Fortunately, the rain stopped in time for most of the acts scheduled in Centeroo, only leaving behind some puddles and mud piles around the festival grounds. The mud didn't stop the party, and music only got off to a delayed start at some of the stages, eventually catching back up to the original schedule. 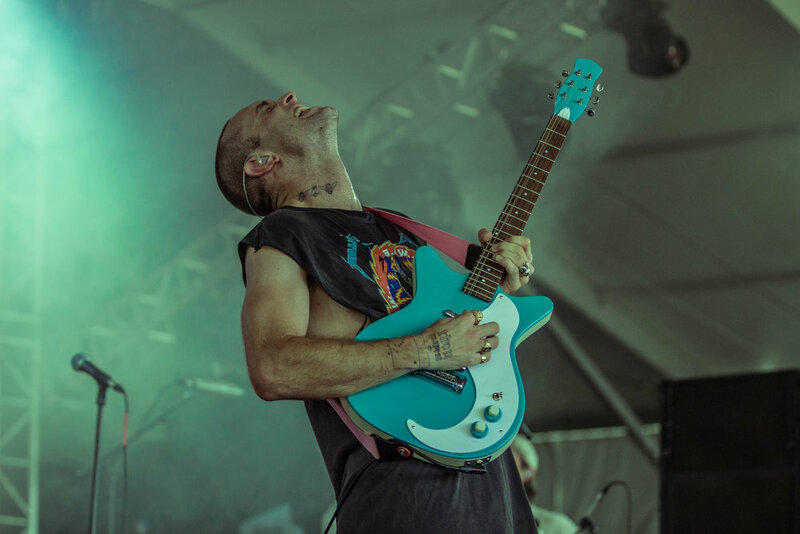 Check out our final day highlights of Roo 2018 below. Sir Sly was on one of the stages effected by the rain delay, but they got things moving quickly, only starting about ten minutes late, rewarding the patiently awaiting tent by opening with an unreleased new song called "Welcome The Pressure." 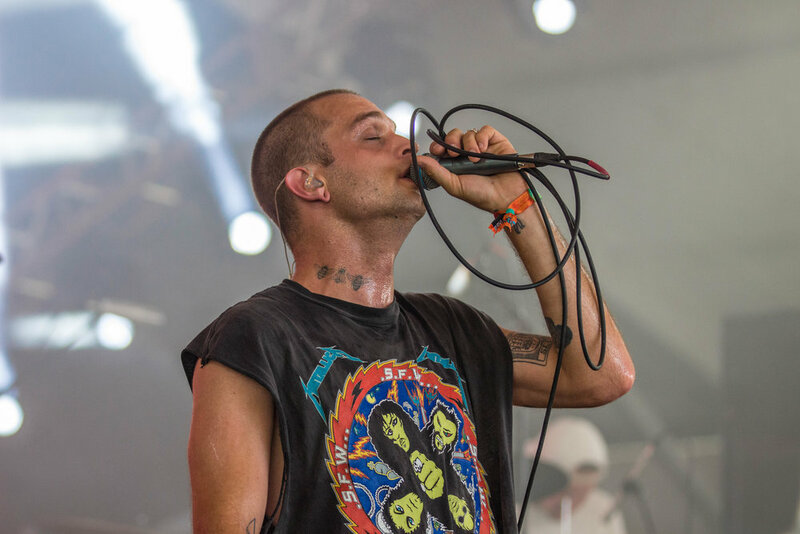 "This has been the year of our dreams," frontman Landon Jacobs told the crowd, mentioning that this was their very first Bonnaroo and that they'd had so many great opportunities this year. 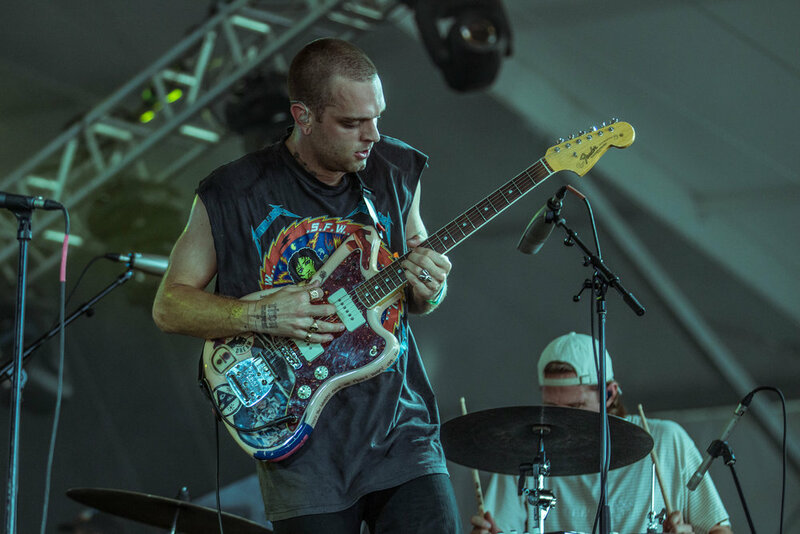 Sir Sly has had a recent much-deserved streak of success following the release of their sophomore album Don't You Worry, Honey; the album showcases a raw vulnerability in Jacobs' lyrics, which reveal the hardships of a divorce and losing his mom to brain cancer, and the growth that the trio has shown in their sound and production. During their live show, all of that mixed with Jacobs zealous stage presence makes for an unforgettable show. 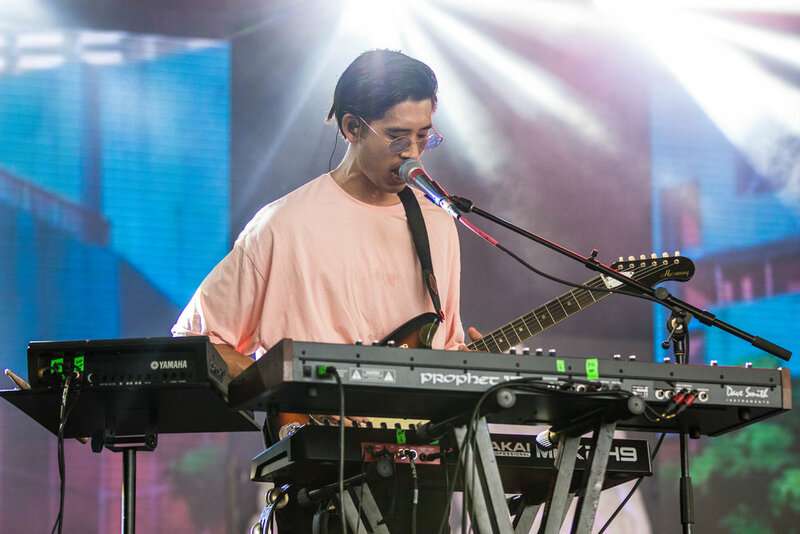 At their Roo set, Jacobs moved around the stage to jam with his bandmates Jason Suwito and Hayden Coplen, and even climbed up the stage truss at one point. The band let their enthusiastic audience let them know how appreciative they are of their support, with Jacobs saying, "This reconfirmed the choice I made years ago to finish this album instead of sticking it out with someone who didn't support my dreams," referring to his decision to pursue music instead of staying in his marriage. It was clear that the crowd at Bonnaroo were very happy he made that choice, too. London soul collective Jungle hit the Which Stage in the evening with the sun shining, almost making us all forget that it had stormed earlier that day...if it hadn’t been for the giant mud pits around that stage. Fans made the most of it though, sliding around barefoot in the mud to move along to the cool, groovy tunes provided by Jungle. 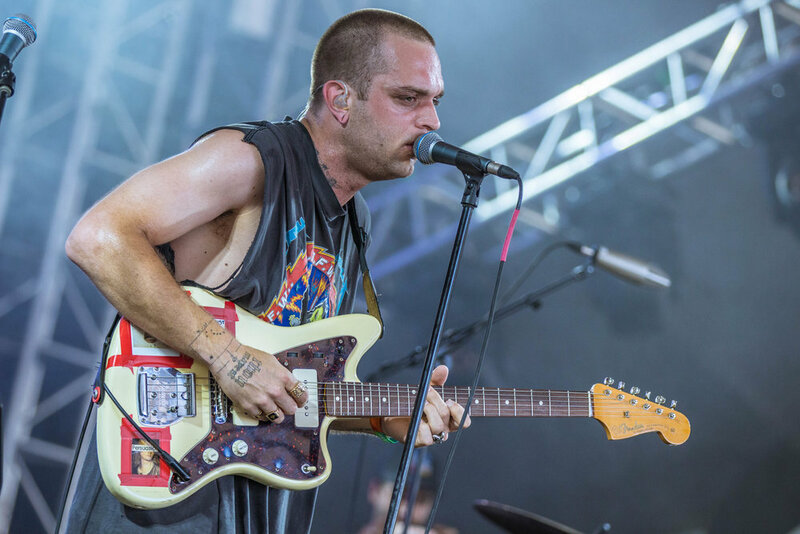 Jungle's mix of chilled out and funk vibes paired perfectly with the mood on the last day of Roo, allowing for fans to relax a bit after three long days of music and festivities. The group also played several new songs, like "Happy Man," "Cherry," and "House in LA," which all follow up their 2014 debut album. British singer songwriter Dua Lipa has quickly become one of the biggest names in international pop music over the last year, with collaborations with the likes of Calvin Harris and Sean Paul. Naturally, she drew a massive crowd at the What Stage for her evening set, with flocks of fans eager to get in any last chance to dance this weekend. As expected, Dua brought the dance party, providing all of the bangers and by bringing along her crew of backing dancers and singers. Opening with "Blow Your Mind (Mwah)," the set kept moving with hit after hit, like "Be The One" and "Hotter Than Hell," which had the crowd singing along to the catchy choruses. The Killers Opened With "Mr. Brightside"
Some ardent fans had been waiting all day for a chance to get in the main pit for The Killers' headlining slot. By 10:20 PM, the long wait was over when the band hit the decked out stage, with frontman Brandon Flowers looking sharp as usual in a flashy red suit. The energy of the huge crowd immediately peaked when the opening chords of "Mr. Brightside" rang out into the field, fans losing their minds, jumping and dancing around for the entire song. It's rare that a band starts their set with their biggest hit, but the bold move got the crowd immediately amped up and ready for the remainder of the set that featured a dynamic mix of The Killers' discography. About two songs in, Flowers brought up the quote from Evel Knievel that people come to see the attempt, not the perfect landing, and that they'd be giving it their all to put on a rock'n'roll show. As promised, The Killers gave it their all for the final set of the entire weekend, ending the weekend on a high note. That's a wrap for Bonnaroo 2018! Keep an eye out for our upcoming festival coverage this summer.